Historically developed networks generally cause problems at some time. 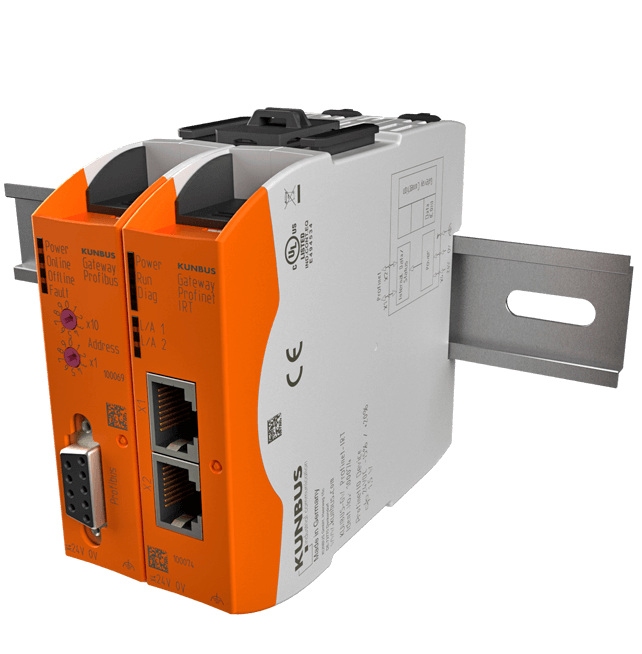 Where previously a classical fieldbus like CANopen, PROFIBUS, or DeviceNet was the preferred network, Ethernet-based bus systems are preferred nowadays. 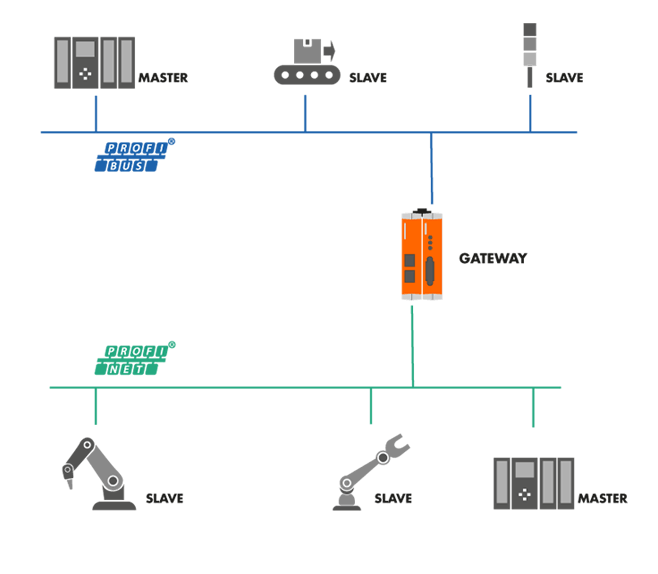 However, a protocol change from one fieldbus to another also occurs frequently in practice. A complete exchange of the communication modules is expensive or often not possible, as the communication circuit board is a part of the control circuit board. So-called gateways were developed as an investment protection. In German they are called “protocol converters”. The gateway compresses all data that the target network can transmit. Furthermore, it drops data that cannot be transmitted or adds required data. Gateways such as the KUNBUS Gateway enable continuous and reliable communication between different networks and systems. The KUNBUS Gateway converts all data that the target network can transfer. It omits non-transferrable data and adds necessary data in the new network. Thus, the operators can transfer all necessary data from one closed network to another. With this Gateway series KUNBUS offers a protocol converter that can be attached to DIN rails and detached again easily by means of plug and play. The protocols themselves are located in compact modules, whose housings are just 22.5 x 101.4 x 115 in size. The modules are connected via a jumper to a gateway. The user can exchange the protocol modules easily and conveniently to connect one network to another. Customized solutions are also possible. The KUNBUS Gateways are equipped with an integrated web server; program parts are updated via FTP server. The maximum output of the series is three Watt; the voltage tolerance ranges from minus 15 to plus 20 percent. The modular system allows simple configuration of our Gateways by plug-in linkage or adaption by exchanging the module. By using a jumper you connect two protocolls to a complete gateway. A big advantage of the KUNBUS Gateways is the reducing of stock-costs. Due to the modular structure you can wait with the configuration till the time of delivery to your customer.